When new inspiration is needed in the fashion world, designers look to the past. Suddenly, “retro” means “in style,” hemlines swing dramatically up or down, and department stores are filled to the brim with tie-dyed or shoulder-padded outfits. So, I thought, in our new gluten-free, paleo world, why not apply this concept to food? 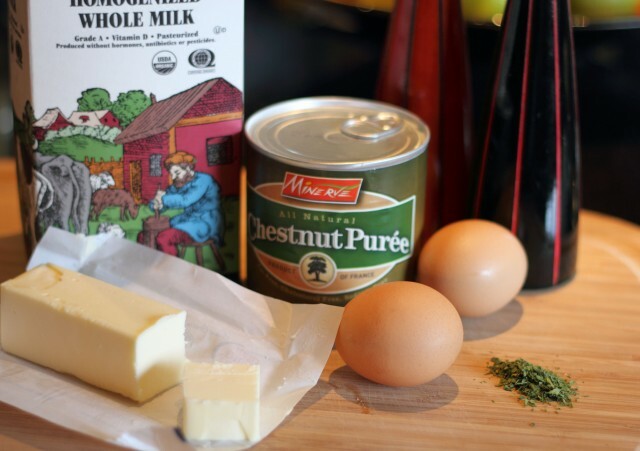 You may recall I very recently shared a recipe for Chestnut Pancakes, a gluten-free, earthy delight. 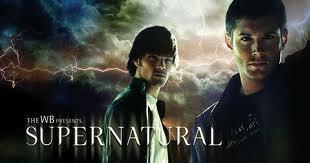 Since that time, I have been doing a lot of research. You may not know that this country was once filled with mighty Chestnut trees, tall giants reaching as high as 150 feet, and as broad as 14 feet in diameter. Sadly, blight destroyed 3.5 billion American Chestnut trees during the first 40 years of the 20th century. A lot of information, I know, but here’s where I get back to food – many older American pre-blight cookbooks contain recipes for chestnut dishes. I turned to one of my favorite old cookbooks by Sarah Tyson Rorer, published in 1912. 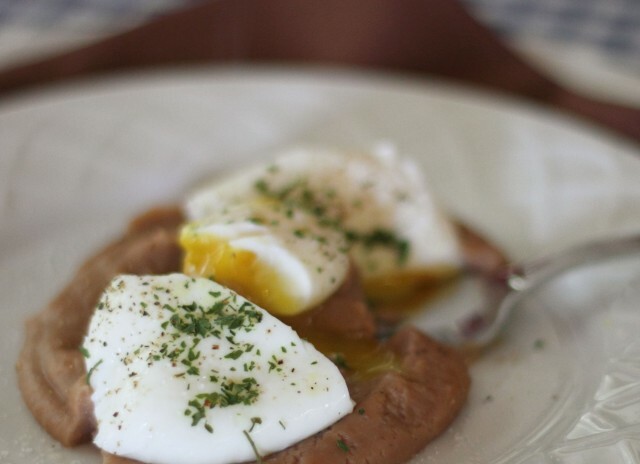 Sure enough, I found (old) new inspiration and adapted this Chestnut Poached Eggs recipe from her original. Roast chestnuts and purée them yourself, or take the easy route, and purchase canned. 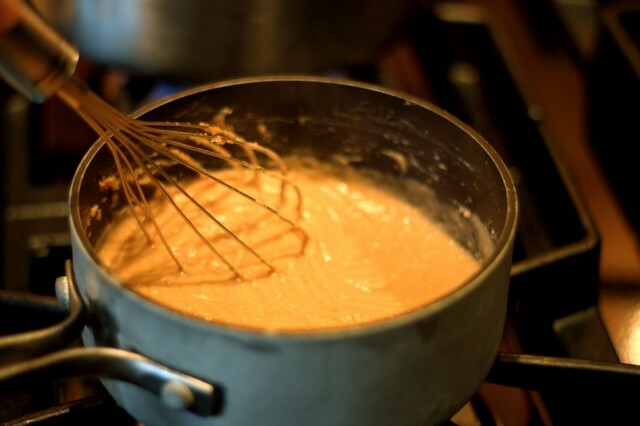 The purée quickly cooks to the consistency of hot cereal, like cream of wheat or rice. Topped with a steamy poached egg, a scant portion of rich, nutty chestnuts is surprisingly filling. So why not give something “new” a try, for a retro, yet in-style breakfast in bed? NOTE: Good news! Several foundations are working hard to develop blight-resistant varieties, and to restore the American Chestnut to its natural habitat in our Eastern forests. Many chestnut growers are popping up on the West coast as well. If you would like to read more about chestnuts, take a look at my chestnut article (http://mixerupper.com/2012/08/01/chestnuts/ ) . Melt butter in a small, heavy saucepan over medium heat. Add chestnut purée, milk, salt and pepper. Stir until smooth, and heat until warmed through. Mixture will be the consistency of hot cereal such as cream of wheat or rice. Reduce heat to low, cover and keep warm while poaching eggs. Eggs should be as fresh as possible for perfect poaching. To poach eggs, fill a heavy saucepan with enough water to cover eggs (3 to 4 inches) and heat until very hot and simmering, but not boiling. 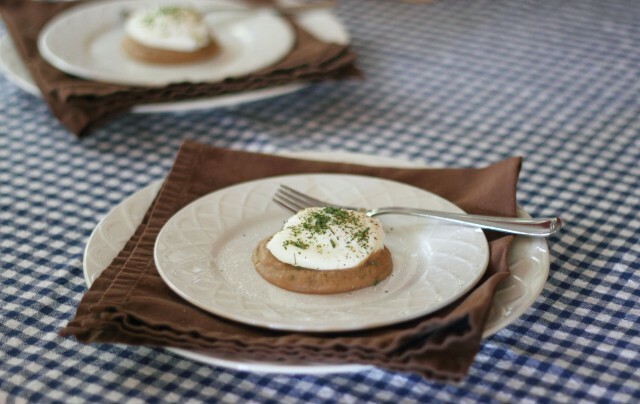 Break eggs into individual small dishes. Or you can use an egg poacher. Carefully pour the first egg into the simmering water. Immediately use a wooden spoon to wrap the cooking white around the egg yolk to prevent the white from feathering. Repeat the process with the second egg, and cook for about four minutes, until the white is firm but the yolk is still soft. Remove from pan with a slotted spoon and drain. Trim edges if necessary. Spoon chestnut mixture evenly onto two small dishes. Top with poached eggs, dust with salt and pepper and sprinkle with parsley. Serve immediately. When I was young, my parents had a large wall map of the United States in the office with thin, flagged pushpins of all the places that we had travelled to. Year after year, it was a wonderful sight to see the map overcome with pin holes, sometimes running out of room to insert a pushpin where the cities were close together (ie Fort Worth and Dallas). Maps make fantastic bedroom décor because they remind me of my past travels, or unique places that I have yet to travel to. 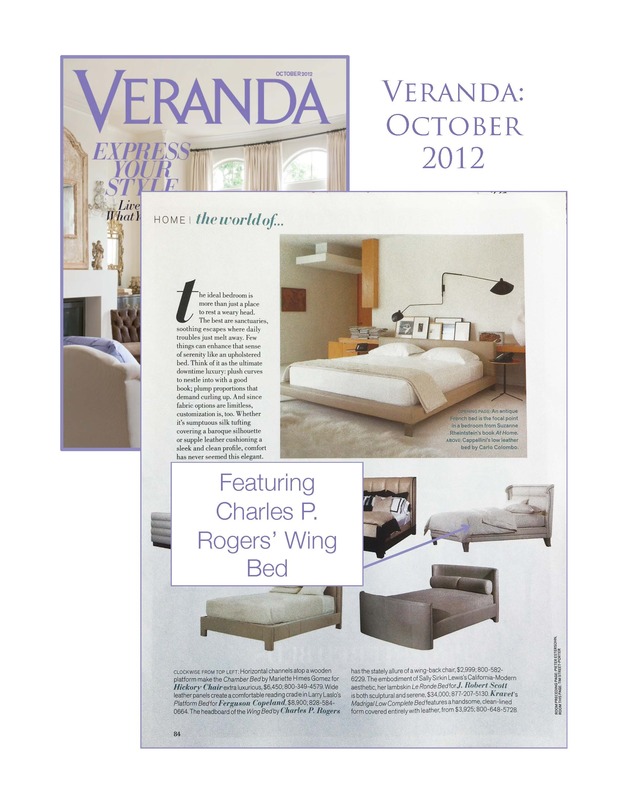 Besides the memories they elicit, I drawn to their intricate designs, which bring a striking graphic artform into the bedroom. Traditionally, a map is framed onto the wall. However, when shopping for map décor, I like to think off the wall. Map motifs can be found on headboards, as a welcome surprise in a nightstand drawer, and even handsomely stitched on a quilt. This headboard is transformed into a statement piece with decoupage medium. The bold colors of the map make it one of a kind furniture item. This bright, vibrant visual is made the center of attention by keeping the rest of the bedroom fairly simple. By choosing a map of an area with personal interest, you can go to bed dreaming of all the places that have been travelled or will be travelled to. 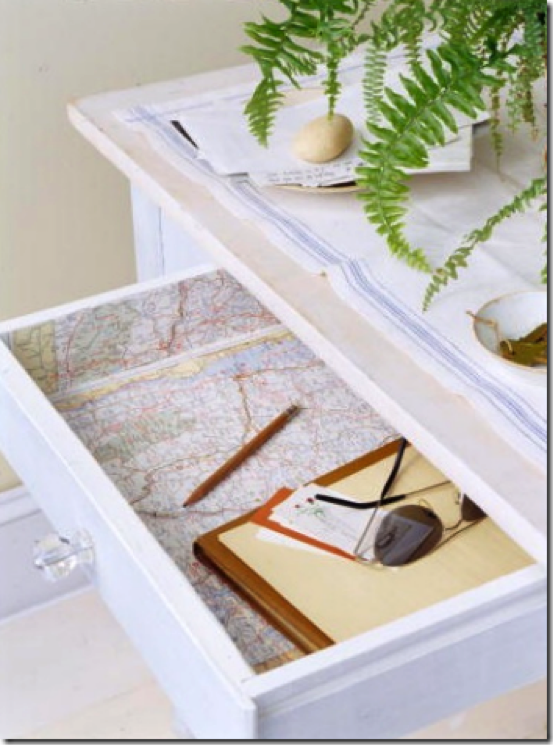 For a more subtle integration, install “map liners” in your nightstand drawers. Each time you open them, you will be reminded of great places. 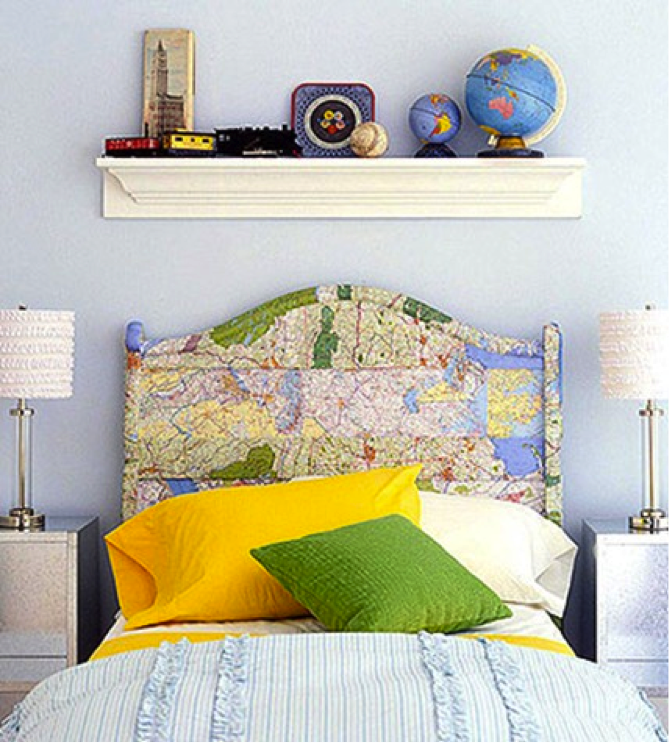 A favorite paper map can also be adhered to the bottom and sides of a drawer as an unexpected and novel way to decorate your bedroom. If you don’t already have a favorite map, it’s a great way for wanderlusts to start collecting them on their next trip. Or for those homebodies, skip the been there done that, and join your local AAA. If you’re a homeowner, get a survey of your home. If you’re a programming print the Matrix screen saver. Maps can be of many things, including blueprints and even so much as cryptic computer code. For an unforgettable memory, get a custom stitched map quilt. 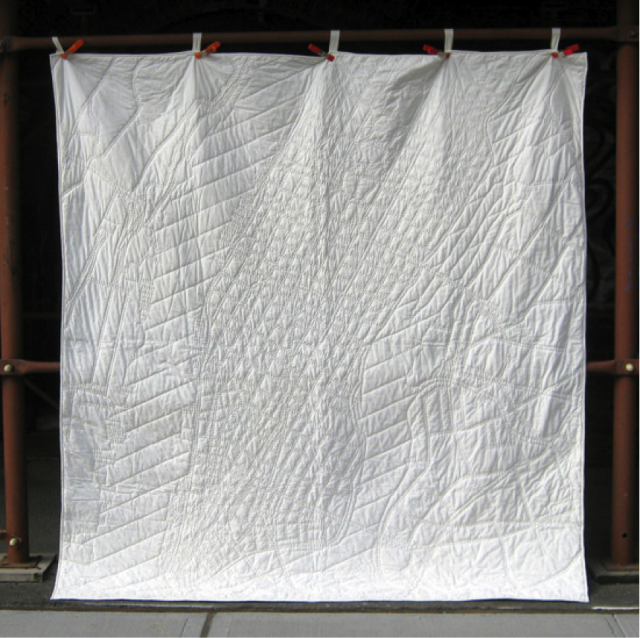 For $450, the creative folks at Haptic Lab will design you a limited edition quilt of a major city. I am partial to this one of New York City. Yes, mum. No, mum. Sorry, mum. Is that the sound of a child being scolded by his mother? Nope, that’s just how some folks say “ma’am” across the pond! One of those somebodies is Robert Lewis of the Thames Valley Police. You how it is with those working-class Northerners. 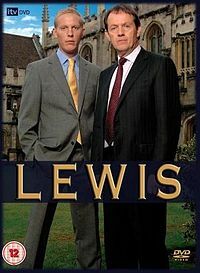 I just began watching Inspector Lewis about a week ago, and even though I never seem to find time to watch a full-length movie, I manages three of these 90-minute BBC mysteries in just the past seven days! Paired with younger, best boy, cerebral partner Sergeant James Hathaway, they are the Odd Couple of Oxfordshire. What I like about these BBC mysteries is they have none of the flash and overwrought special effects. And, best of all, the Who don’t do the intro music. There is the wonderfully subtle British humor, plenty of murder, and lots of English plodding about. It’s great to watch right before bed because it’s not TOO exciting!